Island of the Blue Foxes Disaster and Triumph on the World's Greatest Scientific Expedition [Audiobook] | Free eBooks Download - EBOOKEE! Posted on 2018-10-30, by nokia241186. The story of the world's largest, longest, and best-financed scientific expedition of all time, triumphantly successful, gruesomely tragic, and never before fully told. The immense 18th-century scientific journey, variously known as the Second Kamchatka Expedition or the Great Northern Expedition, from St. Petersburg across Siberia to the coast of North America, involved over 3,000 people and cost Peter the Great over one-sixth of his empire's annual revenue. Until now recorded only in academic works, this 10-year venture, led by the legendary Danish captain Vitus Bering and including scientists, artists, mariners, soldiers, and laborers, discovered Alaska, opened the Pacific fur trade, and led to fame, shipwreck, and "one of the most tragic and ghastly trials of suffering in the annals of maritime and arctic history." 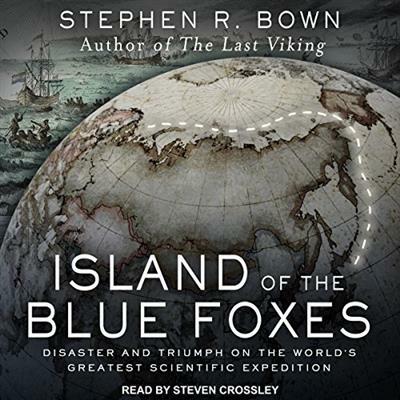 No comments for "Island of the Blue Foxes Disaster and Triumph on the World's Greatest Scientific Expedition [Audiobook]".